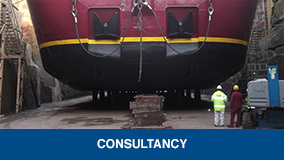 For dry-docking and repairs, APB Marine Limited carry out pre-dry dock surveys to identify the work required and compile a scope of work to assist with budgeting and formulating the yard selection. APB Marine Limited will put together detailed tenders with estimated costs and short list or recommend suitable facilities for works to be carried out. Paul Kirby, Managing Director, Small & Co.
For new build, re-fit and conversion projects, APB Marine Limited work closely with contractors, the ship yard, Naval Architects, Class and Flag to ensure that the build is carried out efficiently and as planned. 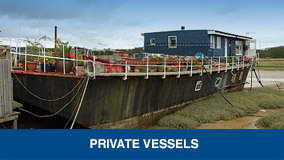 APB Marine Limited superintend all works, ensuring the Client’s interests are represented throughout. APB Marine Limited maintains accounts, schedules and quality checks ensure works are delivered on budget, to time and above Class standards. 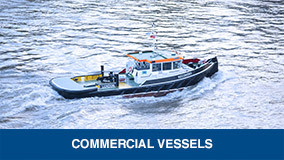 On completion of any docking project, a full report is given to the Clients and the Vessel.